Car batteries are extremely low maintenance. To maintain their charge, all you need to do is drive your vehicle regularly. However, at some point, your car’s battery will peter out and die. Before that fateful day, try to replace the battery so that you aren’t left stranded on the side of the road. So how long do car batteries last? Let’s find out . . . Your car’s battery is a crucial component of the vehicle’s electrical system; without it, your car wouldn’t be able to run. Although you can maintain the battery’s charge through regular driving for years, it will eventually die. 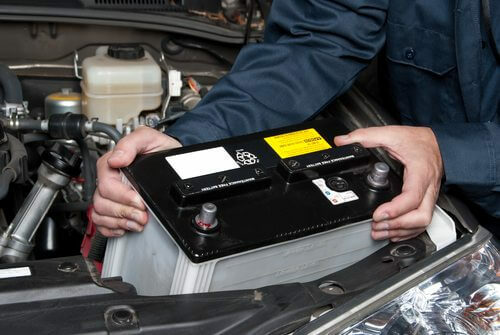 Car batteries typically last between two and six years, though this varies based on your treatment of the car. Keep an eye on your battery’s age (if you forget, most batteries have a stamp with the month and year the battery was made), and review your owner’s manual for more information. In addition, check to see if your battery has a warranty, as many are guaranteed for one, two, or three years. Finally, avoid purchasing the cheapest battery you can find, as this isn’t usually economical in the long run. If you spend a little more upfront, your battery will typically last longer. Testing: To keep your battery in good condition, check its charge regularly. Many auto shops and mechanics will test your battery for free, and they can tell you if the battery is charging properly and how long it is expected to last. Driving Frequency: Driving your car regularly maintains the battery’s charge. If you abandon your car for a long period (if you travel during the summer or winter, for example), you will need to replace the battery sooner. Driving Habits: If you take a lot of short trips (about 20 minutes or less), you will place greater pressure on your alternator. It may not be able to fully recharge your battery, which can cause the battery to die more quickly. Extreme Temperatures: Extreme cold and heat can impact the performance of your battery, so drivers who live in hotter and colder climates should have their batteries tested more frequently (about once a year). Warmer climates are more damaging than colder climates. Cleanliness: Regularly clean the outside of the battery terminals and the connected wires. You can use a toothbrush, water, and baking soda to clean the terminals after turning off the vehicle and removing the negative and positive clamps (in that order). When you reconnect them, start with the positive clamp. Although all car batteries deteriorate over time, sometimes another issue hastens this process. For example, battery corrosion, a faulty alternator, or a broken ignition switch can all lead to dead batteries. In addition, remember to turn off your lights and unplug any accessories, as they can cause your battery to drain. So how long do car batteries last? Between two and six years. If your battery is new and draining very quickly, another issue is probably to blame. 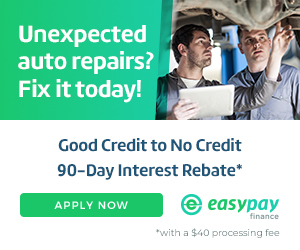 If you’re located in Springfield, Missouri, or northwest Arkansas, call ASE-certified Seeburg Service Center for help. Our experienced, knowledgeable, and friendly mechanics will work hard to diagnose the issue, prescribe a remedy, and offer a solution. To get started, please contact us online. We look forward to hearing from you!